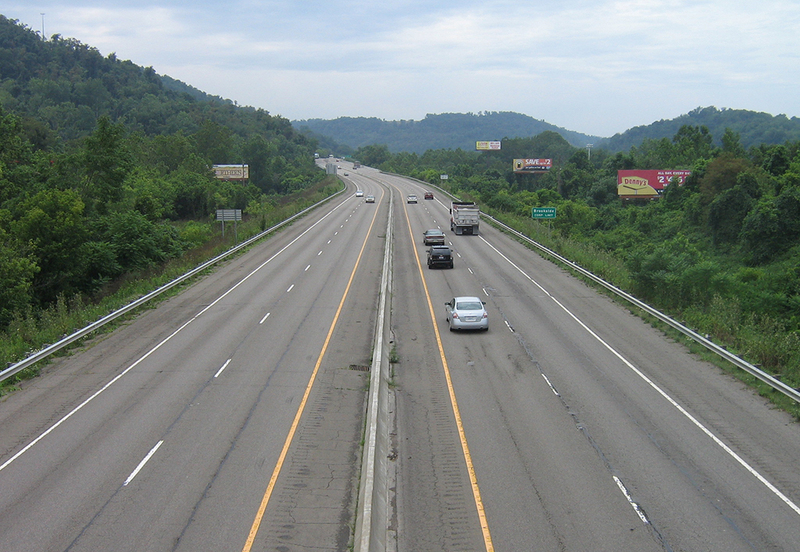 Palmer Engineering was selected by the Ohio Department of Transportation for the rehabilitation of a three-mile section of Interstate 70 in Belmont County, Ohio. The project will provide 3.25 inches of asphalt pavement planing and resurfacing , and replace deteriorated guardrail, median concrete barrier and median drainage structures. It also includes pavement marking, replacement of two overhead sign bridges, replacement of median mounted highway lighting, and minor repairs of two pairs of mainline bridges. Several maintenance of traffic schemes were evaluated, and a phased construction approach was ultimately chosen, which will maintain two lanes of traffic in each direction throughout construction. An important consideration during this evaluation was minimizing impacts to the Marion Street interchange, located within the project limits. The project was completed within an aggressive five-month design schedule, allowing ODOT to consider accelerating the sale of the project earlier than the originally scheduled bid date of October 2013.